Literacy Survey for Third and Fourth Classes. Pupils’ Views of Literacy: Reading and Writing. Please click the tab Read More to find the link to your survey. Remember, it is anonymous. Read it carefully and ask your teacher for help if you find any question confusing. Don’t rush. Think and answer honestly. It will help your teachers to help all of you!Thank you! Senior Classes: Literacy Survey October’18. Welcome to all of Fourth Class. Here you will be able to peruse and savour all the great learning activities in the coming year! Bua tré Iarracht! Work hard, everyone. Be kind to each other, treating them like you would like to be treated. Here is your link to your class Weebly: Mr Damien’s Fourth Class Weebly 18-19, Click Read More tab, to access the blue link. We completed our project with ‘Sea Syenergy’ recently. The class did a super job and learned a lot about the affects of marine pollution. The marine biologists visited us twice. On the second occasion, they showed us a powerpoint on whales and dolphins and will return in a few week with an aquarium for the classroom. Well done 3rd class! 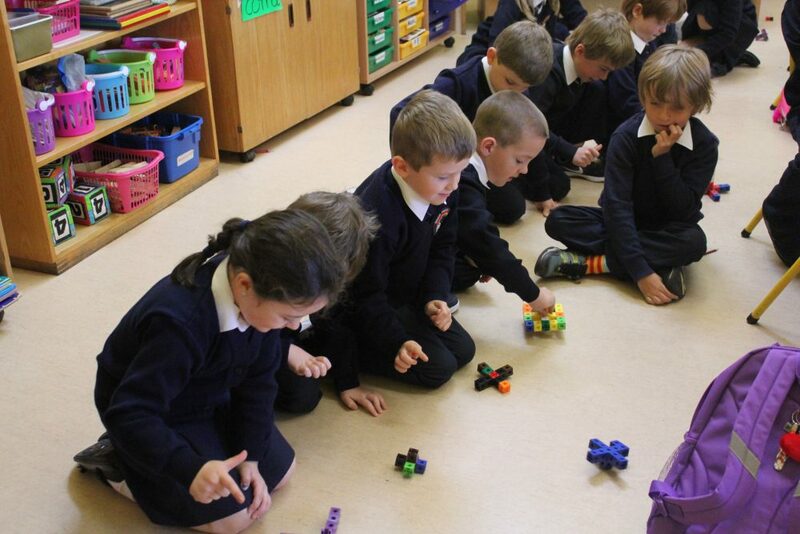 WE had great fun during Maths week recently. Well done to 3rd class on keeping up their marathon challenge. They are doing great and increasing their fitness levels day by day….! We completed two science experiments recently and demonstrated them for fourth class. Fourth class also showed us their experiments. We have some budding scientists in our midst!!! We are progressing nicely through our fit4class athletics programme. The pupils are having great fun so far and are enjoying the games and activities involved. 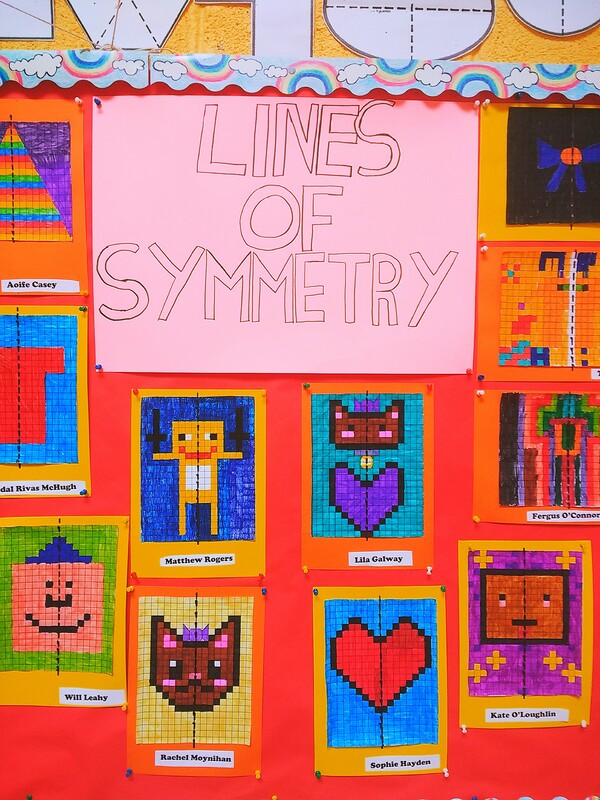 Fourth Class display their wonderful talents during Maths Week. The pictures speak for themselves. Homework Survey, Caherleaheen, Fourth Class. Sixth Class Homework Survey: The Results. First Day for First Class. Ms Ann welcomed first class back. They had lots of news, having enjoyed a great summer. They got straight down to work/fun, exploring the properties of tens and making number stories with manipulatives. Spring has sprung some chicks! They are adorable! We all got to rub their soft fluffy down. It was a long wait for ‘Joey’. Chick 2 arrived two days later, at ‘sos beag’. The teachers were more excited than we were, nearly!. Ms Mary calls Chick 2 ‘Goldie’. But Ms Noelle says it’s a democratic decision. We will call her ‘Tiny’. We can’t wait for tomorrow. 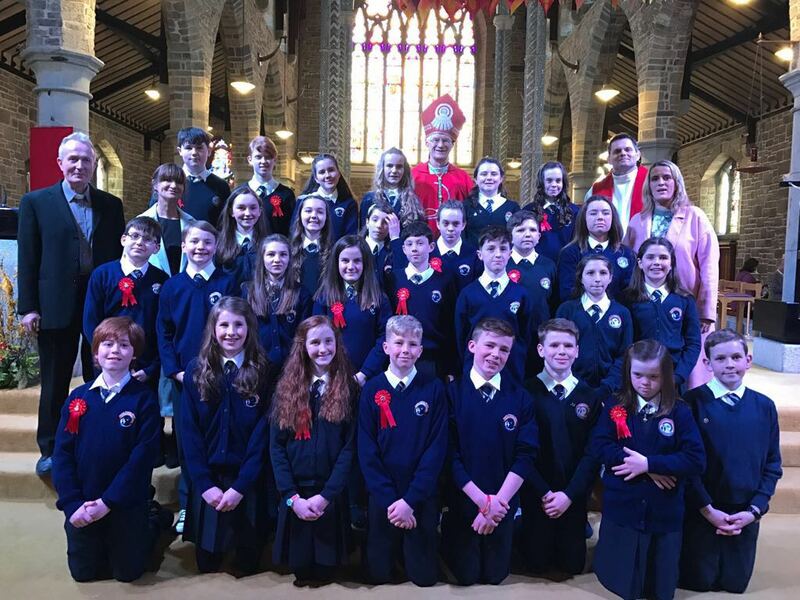 We wish all our children in Sixth all the gifts and strength of the Holy Spirit. Mr Liam gave us an incubator filled with eggs. They ‘are due’ this week!!! What will we do, if they hatch during the hols?. We gently turn them every day two times. Ms Noelle thinks the names we are thinking of for our Easter Chicks are perfect. 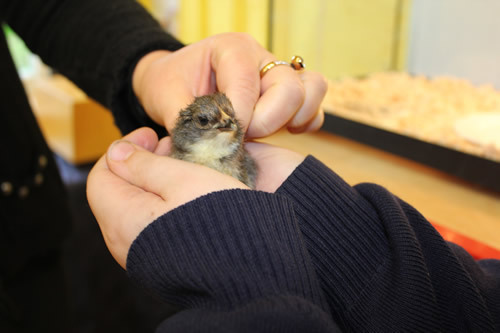 But we haven’t fully decided yet, until EACH ONE hatches…..
We are so proud! It was wonderful that all our parents found the time this morning to celebrate our published books and to have a cup of tea, served by Ms Anne Moore and Ms Noreen. They even got to taste some of our teacher’s banana cake……a recipe which is a secret! This was the first day that we actually got to hold our printed books. It was soooo exciting. Look at the art all around Third Class! Here are some pics of the wonderful art displayed in our classroom and beyond. Design Challenge Busy at work . Planning , designing and creating Lego cars Working as a team Plenty of discussion on the best way forward. Smiles of delight as plans fall into place. Now for the real test. Which car will travel the fastest or the longest distance ???? Ready, Steady , Go. We might need to go back to the drawing board so that our cars can travel faster. Thanks are due again to our parents for dropping and collecting Third Class. 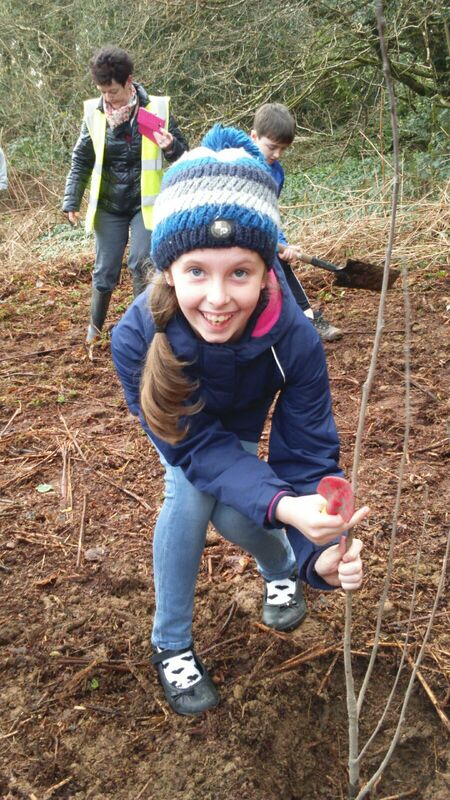 Ms Ann, the ‘Bramble Club’ and Coillte led the children to our planting spot.One tree for each child. Gillian Wharton and Joan co-ordinated the whole event. It was a wonderful activity for all. 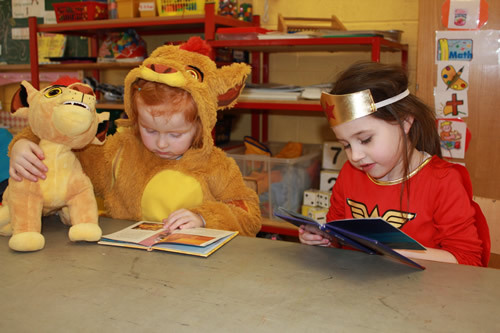 Our Infants love books!Make sure you find the time to read to them every day….because they are worth it! Lots of Reading and Engineering for Sixth Class. 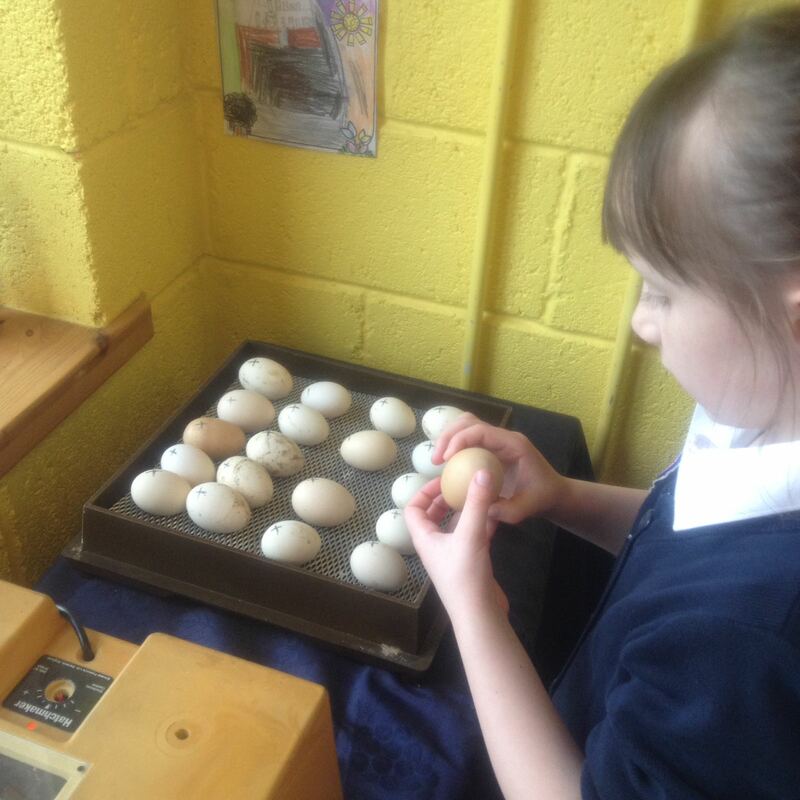 Sixth Class were involved in everything this week! 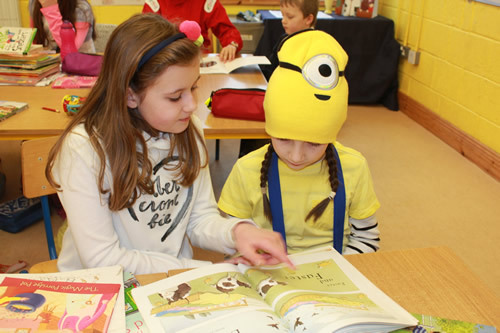 They gladly read books to our younger pupils on World Book Day. On Friday they participated in an Engineering Workshop with Mr Jones. This was hosted by Kerry Library for Engineering Week 2017. Many thanks to all the organisers. Ms Gillian’s class really enjoyed the demonstration and the marshmallow challenge. Ag Fanacht le Seachtain na Gaeilge. Creative Dance with Maria Svensson. K.C.C. 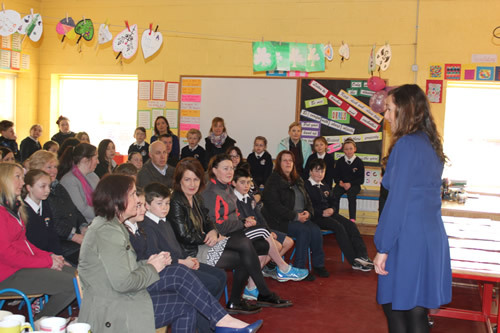 Thanks to Ms Claire Murphy for organising the workshops.